Will Vaud be allowed to build a new cantonal fine arts museum? A plan to move the Musée des Beaux Arts in Lausanne from old premises in the city center to new ones by the lake is being contested by referendum and will be put to the vote on 30th November. It is the combat of David against Goliath. On the one side, a tiny committee successfully gathered more than the necessary signatures to counter a decision already voted and approved by the State Parliament. On the other, the entire state apparatus is sparing no expense to counter the resulting referendum. The issue at stake is whether Vaud will at last be able to build a new museum. On the face of it, the population is only being asked if it accepts a credit of CHF 390’000 to finalize the selected architectural project. This is even before it can go to public enquiry. In actual fact, if the credit is refused, the project, which was started in 1991, will be shelved. Although four of the six political parties with representatives at State level have come out in favor of Bellerive, and despite a massive promotional campaign by innumerable public figures, the feeling is that the vote will be a close call, with no one taking bets on the outcome. The Ying-Yang design, by the young architects Berrel & Kräutler from Zurich, is conceived to fit a piece of land by the lake in the shape of a trapezoid. It was chosen among the 249 entries of an international contest in 2004, mainly because it offers an internal circulation that allows patrimonial (Ying) and contemporary (Yang) art works to dialogue. The arguments against the project concern its exterior appearance, which is considered too massive, but more importantly, the fact that is by the lakeside. The referendum committee maintains that museums belong in the city centre. Although its members do not exclude other locations, they have unveiled extension plans extension plans for the exiguous Palais Rumine, which would – hurrah – cover part of the Place Riponne. The problem with those plans, retorts the pro-lobby group, is the cost, possibly as high as building a new museum by the lake. First of all Place Riponne is hollow because of the underground car park and could not, without structural works of some magnitude, receive a building on its surface. Secondly, the private funds raised specifically for the construction in Bellerive could not be transferred to this alternative. In the event of an extension to Rumine, the entire cost, guessed to be around CHF 50 million, would need to be covered by public funds. In the case of Bellerive, only half of the budget would come from tax payers’ money, since CHF 35 million would also come from the sponsors and donors who want a new building. The referendum committee fires back two arguments. If the fine arts museum is moved out of Rumine, the state will still have to pay the transformation costs for whatever replaces it. The second argument is more ideological. Our Davids are also combating public-private partnerships, which they believe, are tantamount to selling your soul to the corporate devil. The outcome of the battle may depend on the public’s perception and sympathy for the underdog. They are a heterogeneous bunch, covering an unusually large political spectrum, from the extreme left to the liberal greens. 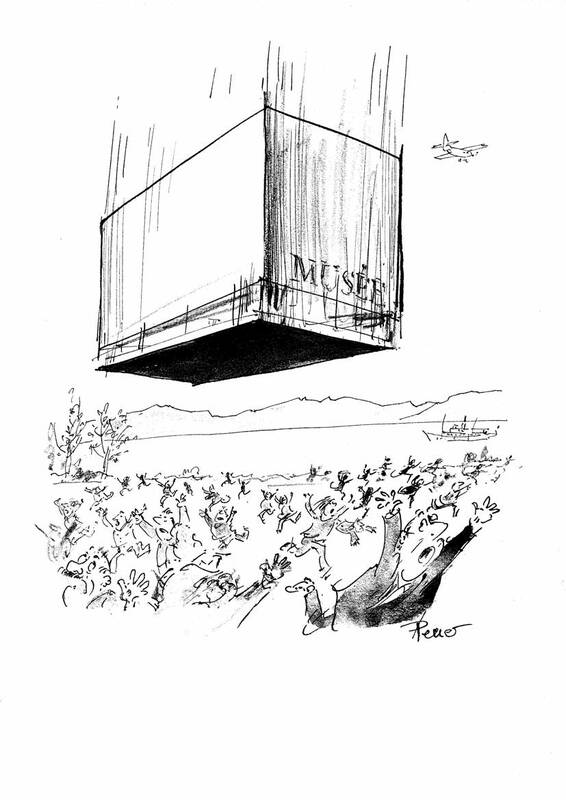 Some muse that the advanced age of the standard bearers, many who are now retired, explains the fact that it has taken them 17 years to get their act together to oppose a project now in its final stage and that has already cost the canton hundreds of thousands of francs. The campaign has been acrimonious, each party accusing the other of being deceitful, especially with respect to the appearance and volume of the planned construction. Furthermore, the economic downturned is being used as an argument by both parties, one saying that expenditures must be halted, the other saying that a new museum would be a strong economic signal. And there has even been some violence towards the end: the pro information caravan on the parcel of land in Bellerive was recently ransacked. Ironically, an initiative against the right of recourse of environmental associations against public decisions, qualified as obstructionism, will also be put to ballot on 30th November. It will be the object of another Swisster article. A number of conferences, debates and events leading up to the vote have taken place. Your Swisster correspondent attended many of them, although it must be said that attendees had invariably already made up their minds. – Florian Rodari, curator of the Planque collection, presented the works by Picasso, Cezanne, Degas, Van Gogh and Klee that are promised to the museum only if it moves to Bellerive. The collection of 20th century art was built by the now deceased Jean Planque, a Vaudois who advised the prestigious Beyeler Foundation in Basel for many years. 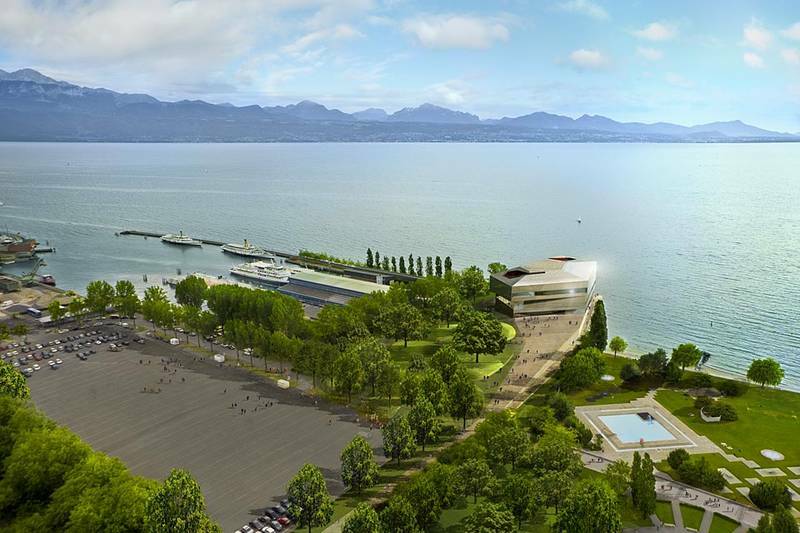 – The architect and urbanist, Ariane Widmer, sees in the plan an opportunity for Lausanne to give a strong cultural and educational identity to its lakeside from the EPFL to the Olympic Museum, via IMD. – The city of Lausanne Is examining solutions – including a draw bridge over the ungainly Sagrave gravel site – to link Bellerive with the M2 in Ouchy. The environmental impact of a museum outside the city centre has been one of the major arguments against the lakeside project. – The current Steinlen exhibition (until 25 January), dedicated to a local artist ( a contemporary of Toulouse Lautrec) who met with fame in Paris, is meant to remind the public of its rich artistic heritage, of which only a small part can be visible in its current premises. More than 8’000 works belong to the museum, but only 2% are visible at a time and the rest are kept in conditions that do not meet the minimal requirements for the storage of works of art.